Pretty, but too busy for a wallpaper. Hubble is still doing valuable science. This is bonus; they figured it would be dead a decade ago. Space acts upon nothing and is acted upon by nothing. Space has no properties. The reification of space and time was one of Einsteins greatest mistakes. The physics world has yet to recover. Hubble's big blue bubble-bauble blob. The reification of space and time long preceded Einstein. There is hardly a theory, modern or Hellenic, that does not entail that. What Einstein did was determine the most RELIABLE reification of space and time. Now, what is the diameter of Sagittarius A*? Or better yet, what are their comparative angular diameters? The 'conundrum' lies in comparing visual apples to apple-cells. Only a conundrum to the hard of thinking. "Hubble is still doing valuable science. This is bonus; they figured it would be dead a decade ago." And that only after public outcry demanded it be repaired. Damn bureaucrats! The shuttles should be doing valuable space launches instead of retirement. None of the three remaining shuttles had even reached their 50% service life of 100 launches. They were still in prime condition. Should have kept them operational instead of leaving us at the mercy of the Russians. Screw the cost.......Every year a new trillion to the debt, what is a few extra billion? Does anyone know if the Webb is well protected from SMEs and SPEs sitting way out there at L2, or wherever. I understand that trouble with the solar shield is what is delaying launch. The shuttles should be doing valuable space launches instead of retirement. None of the three remaining shuttles had even reached their 50% service life of 100 launches. The shuttle-proper should have been retired and replaced with a roomy, ablative-shielded tin can with the (likewise traditional) chute recovery. Everything else about it kept: engines, pumps, etc. danR> Now, what is the diameter of Sagittarius A*? Sorry granville583762, you're misunderstanding what 'resolve' means; it's when you can make something out as more than just a point of light. There are only a handful of stars that have ever been resolved - Betelgeuse is one example. (which is situated) 33900 Lys (from us). its mass is 450000 solar masses. Its diameter is 180Lys (18 arcminutes). (Its central core measuring 1,1 arcminutes can be observed with binoculars). M3's (starry core) is individually resolved (to individual stars by the HST). Deary me, Granville. Does your cluelessness know no end? Alright, I think we're getting somewhere, but it's difficult to help you with your conundra if you keep reframing them extremely questionable limericks and over-long haiku. * "...reframing them in extremely questionable limericks and over-long haiku." danR> * "...reframing them in extremely questionable limericks and over-long haiku." 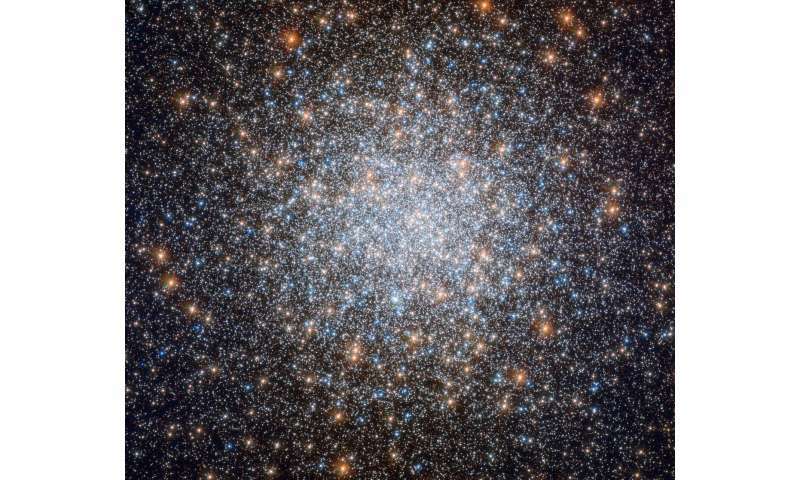 Hubble took images that show individual stars in a globular cluster. Why is there any argument about this data? Looks like trolling to me. 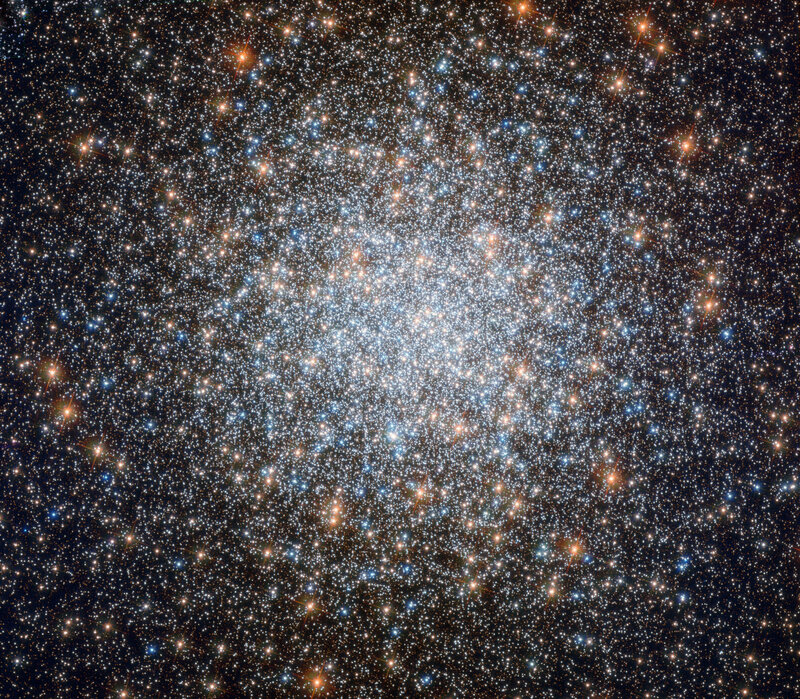 As Da Schneib, correctly points out; Hubble took images that show individual stars in a globular cluster. ^^^^Idiot. Sgr A* is a black hole, you clown. Which part of 'black' is not penetrating what counts for your brain? And we can see the stars orbiting it. Go away. You are a clueless oik. ^^^^Stop talking crap, you fool. It is 33900 light years from our solar system. so it is not more massive than Sag A* wich is 44 million solar masses. Its central core measuring 1,1 arcminutes can be observed with binoculars. it only has a resolving power of 0.1 arcsecond. an existence of BH is a hypothesis. yep but nothing in the observations breaks GR.